Thursday’s EU Referendum allows us all to have our say on a very simple question: do we want to remain in the EU or leave? When people are unhappy with their lot it’s tempting to vote for change because “things couldn’t be much worse than they are now”. This blog encourages a more thoughtful approach than that; things could easily get worse, so let’s think about the pros & cons of voting Leave. Possibly the worst reason for voting Leave would be because you’ve heard that we send hundreds of millions of pounds a week to the EU and have been persuaded that we’d be better off spending that money on ourselves. 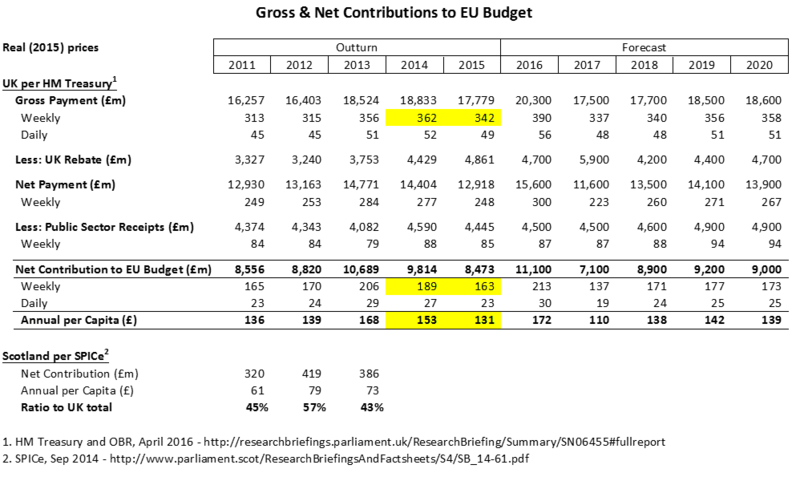 It’s true that the UK’s net membership cost for being in the EU is about £9bn or £150 per person per year1. That’s a significant sum, but it’s dwarfed by the economic benefits that accrue to us as a result of membership. The vast majority of independent economic experts agree on this. The mid-range estimate is that we’d end up £30bn a year worse off if we left the EU2. So if your concern is about having more money to spend on ourselves, you should vote Remain. If you’re inclined to vote Leave because of the issue of migration and a desire to control our borders, there are some facts worth considering before following that knee-jerk impulse. 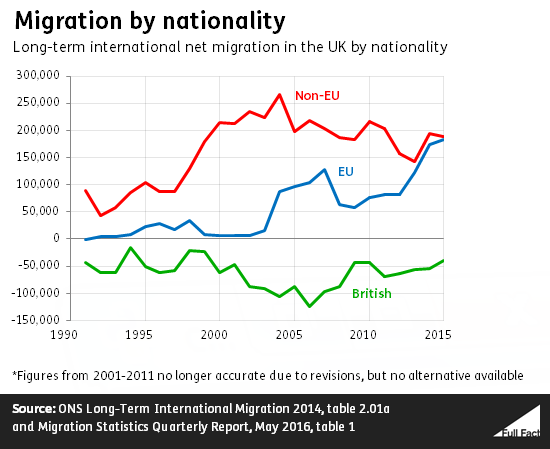 Despite growth in EU migration in recent years, the majority of migration to the UK still comes from outside the EU. The EU doesn’t stop us addressing that. The UK has opted-out of the Schengen free travel area, so we have border checks on immigrants coming from EU countries. 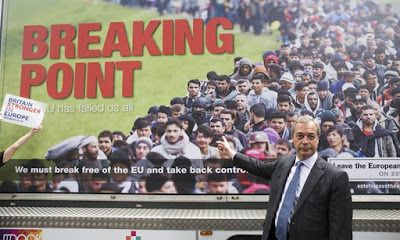 Take the refugee crisis as an example: there are refugee camps in Calais precisely because the UK’s membership of the EU allows us to prevent non-EU migrants from moving to the UK – we don’t need to vote Leave to achieve that. Maybe what concerns you is EU migrants coming here and claiming benefits? The reality, as study after study has shown3, is that migration generally and EU migration in particular is good for the UK economy. “immigration from the EU is good for the public finances”. EU migration is not one of the causes of the economic challenges we face, it’s one of the solutions. Maybe you have broader concerns about social cohesion and think we should reduce EU migration anyway. In this case it’s worth noting that Switzerland and Norway – who are outside the EU – have far higher levels of EU migration than the UK because in practice they comply with the EU’s free movement rules. Presumably they consider this a price worth paying for free trade agreements with the EU; a Leave vote doesn’t guarantee that the UK won’t draw a similar conclusion. So the financial argument favours Remain, we already control non-EU migration and EU migration is something our economy actively needs - so why vote Leave? The standard answer to this question is something like “to get back control from the anti-democratic EU” or “to save us from EU red-tape”. The EU may be a cumbersome, poorly understood and inevitably flawed institution, but it is – via the Council of Ministers and the European Parliament - undeniably a democratic one. But ultimately this is a question of values. The EU stands for unity, solidarity and harmony among the peoples of Europe; you either believe in those principles or you don’t. In practice these principles lead to reducing red-tape by harmonising standards and regulation, breaking down trade barriers, ensuring a level competitive playing field, protecting workers’ rights, championing human rights, preventing armed conflict and much, much more. Achieving these lofty aims of cause requires compromise, inevitably involves ceding some level of control in return for achieving a wider consensus. That doesn’t mean the EU can simply steam-roller us into agreement. Remember that the UK opted out of the Euro, we opted out of the Schengen Free Travel Area and we have effective power of veto over, for example, any new member joining. At a more pragmatic level, we may not like all regulations that emerge from the EU, but if we wanted to trade with the EU following a Leave vote we’d still have to comply with many of them. So there are economic and pragmatic reasons why I’ll be voting Remain, but these reasons pale beside the most important one: I’ll be voting Remain because I believe in building and safe-guarding unity, solidarity and harmony across Europe. 1. 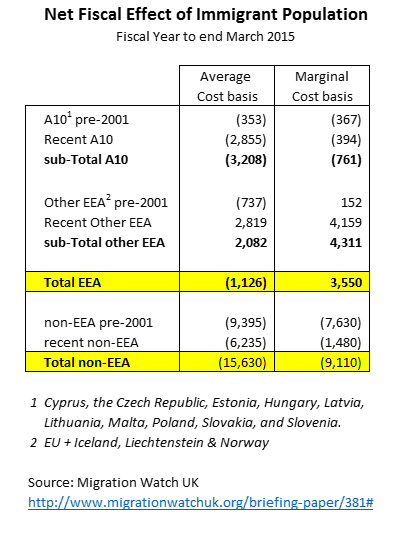 What Does Our EU Membership Cost? Our net membership cost is our gross payment (the £350m per week plastered on Leave posters) minus our rebate of about £100m per week less the £90m or so which the EU spends in the UK (mainly as payments to farmers and investment in poorer regions.) So the true net figure is about £160m a week or £8bn a year. This figure is forecast to rise next year, so £9bn is a reasonable figure for the cost of membership before taking account of the wider economic benefits (which are estimated to be over 4x that amount). See Thoughts on the EU Referendum for more details. 2. Why Would Leaving the EU Cost Us? 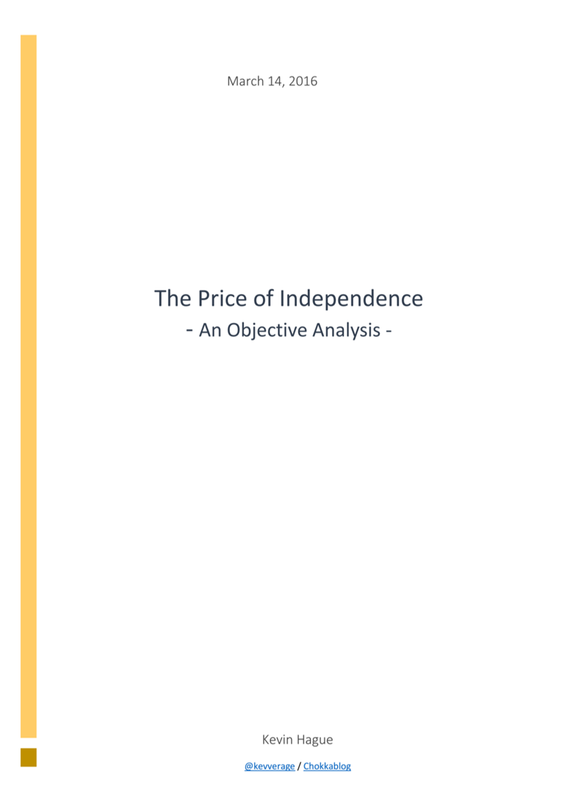 According to respected independent economic forecasters, the short-term economic costs to the UK of voting Leave would be caused by uncertainty: depressed foreign direct investment, lower consumer confidence, falls in asset values and exchange rate volatility. See Thoughts on the EU Referendum for more details. 3. Who Says EU Migration Benefits the UK Economy?